Data Loss Prevention Strategies: The User, Friend, or Foe? Unstructured information--such as files, email and video--will account for 90% of all data created over the next decade. How can you leverage your users as part of your overall DLP strategy? 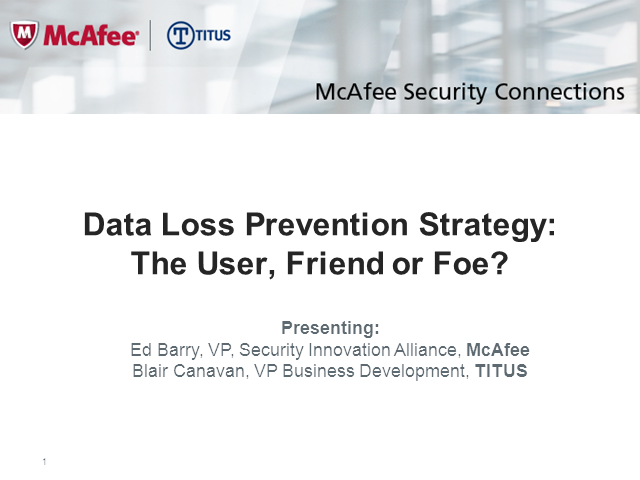 Title: Data Loss Prevention Strategies: The User, Friend, or Foe?